Not only interesting to discover for its very impressing history and culture, which you can find literally everywhere, but for example in one of my favorite corners, Sopot, you definitely have to visit. Moreover, the famous and absolutely beautiful downtown is right out of the Academy door! And furthermore, the city right on the coast of Poland and at the sea is very close to an international and modern airport, the train station and only a few hours from Berlin. It has always been my dream to bring IKMMA to Gdansk and I am very happy it came true. 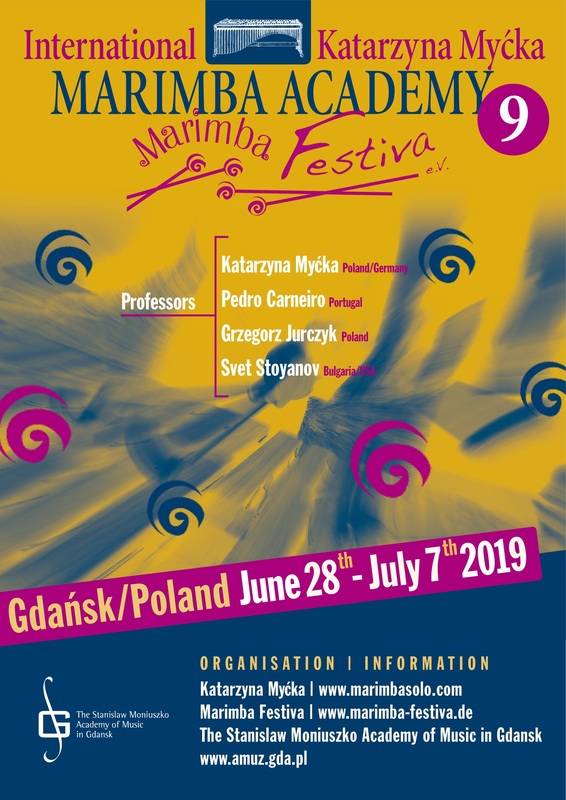 This edition will be supported by Marimba Festiva and Mr. Slawomir Mscisz, who will be responsable for the general management of this event. The high-class faculty with Pedro Carneiro, Grzegorz Jurczyk, Svet Stoyanov and me (Katarzyna Myćka) will give private lessons every day and also coach chamber music rehearsals, Filip Mercep and Conrado Moya will assist us. Apart from that I am extremely happy to announce Anna Ignatowicz-Glinska as the composer in residence! On the other hand, during this edition we will have the chance to work with Teresa Simes, who is a professional dancer and will take care of our Body Awareness. Active participants will have the opportunity to get a private lesson of 40 minutes every day, take part in at least two chamber music formations, if a piece by Anna Ignatowicz-Glinska will be in their repertoire, also work with the composer directly in a private session. Also, they will have the opportunity to practice a few hours every day and perform at our daily concerts. The number of active places is limited to 32. Passive participants can observe all activities such as private lessons, chamber music rehearsals and concerts. A welcome and farewell dinner are included, simply to enjoy the time among people, whos desire is to play marimba and meet nice collegues from all over the world. See you in Gdansk :)?